Jorg Ancrath as sleeping beauty? Sounds crazy, right? Especially since most of us know Jorg from Mr. Lawrence’s seminal grimdark novel Prince of Thorns and its sequel King of Thorns, and recall that he is far from the embodiment of nobility and goodness. 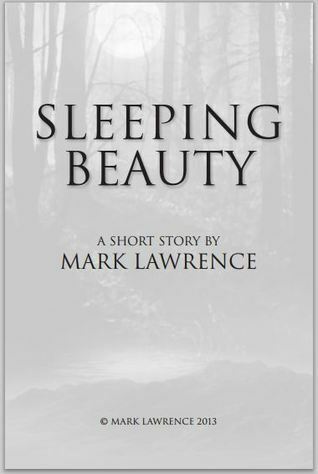 Somehow, someway Mark Lawrence makes it work, however, crafting a twisted story of the young king (this one is set between book two and three of the trilogy) as a “sleeping beauty” of sorts. The story itself focuses on Jorg and a traveling companion making the mistake of seeking shelter from a storm in a haunted cave. While they are aware of the rumored ghosts that inhabit the place, Jorg is never one to let silly things like specters hold him back from his chosen course of action, and soon he finds himself a “sleeping beauty,” wondering when he will wake up and to what fiendish horrors. I really can’t tell you more, or I’ll ruin the wicked fun. Overall, this was another grimdark tour de force from Mark Lawrence, filled with creepy images, fierce combat, and shadowy revelations about the world of the Broken Empire. Not only is it a must-read for series fans looking for a fix of Jorg, but its easy accessibility makes it a great introduction for new readers wanting to just try the series out. Sure, our grimdark hero has a habit of being terribly lucky, unbelievably knowledgeable, and gifted in that perfect way to overcome his current set of challenges, but a reader really must not let that detract from the fun, because it is merely part of the legend that is Jorg. I’d recommend it to all grimdark devotees, Jorg Ancrath lovers, and fans of fantasy-horror genre benders, because it is a not-to-be-missed fairy tale retelling. Read my reviews of other Mark Lawrence stories. This entry was posted in 4 Stars, Fantasy, Grimdark, Short Stories and tagged best free grimdark, best grimdark 2014, best grimdark fantasy series, best grimdark short story 2014, Jorg, Jorg Ancrath, King of Thorns, Mark Lawrence, Prince of Throns, sleeping beauty, the broken empire. Bookmark the permalink.